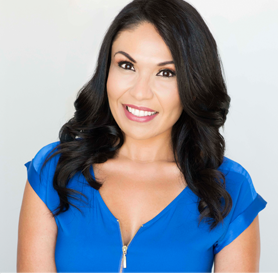 Isabel Caldera - InsurAide Insurance Agency Inc.
After earning her insurance license in 2002, Isabel Caldera began her career at 21st Century, one of the leading insurance companies for personal lines with an innovative approach of only selling insurance online or over the phone. Following 21st Century, she joined Auto Insurance Specialists (AIS), the 4th largest personal lines broker agency in California, where she learned how a broker agency worked, representing numerous insurance companies and having the ability to shop up to 40 insurance carriers for a variety of insureds, from the preferred market to standard and the non-preferred. Isabel, who also speaks fluent Spanish, has many Hispanic clients who are more comfortable speaking their native language. Throughout Isabel’s career, she has consistently been among the top ten producers in her group.